The overnight flight was smooth and everyone pretty much slept through most of it. 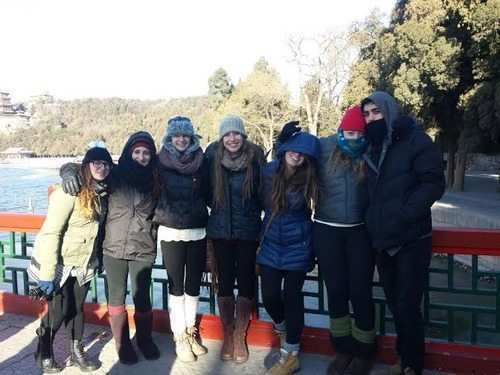 The first thing your kids will probably tell you about China is that it’s cold! Very cold! Although apparently not cold enough for Mason who thought it was shorts weather! Upon our arrival, we met with our local tour guide, hopped on our comfortable private bus and drove off to begin exploring the city. 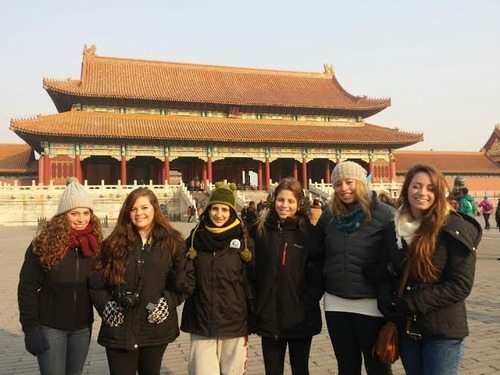 Aside from its impressive size and historic richness, Beijing is home to 20 million people. That is more than three times the population of Israel. First up was a tour of the Hutong streets. The Hutongs are very old neighborhoods with one level houses built very close together. The houses are very small and have no bathroom in it. So the people living there use the communal bathrooms and showers that are spread every few meters on the streets. Apparently, the bathroom is where the neighbors get to have their best conversations. In this neighborhood being friendly with your neighbor also means knowing all of his or her tattoos. All of them! We toured the Hutong riding on rickshaws through the narrow streets and at times our drivers thought it would be funny to scare us as if they were about to crash. 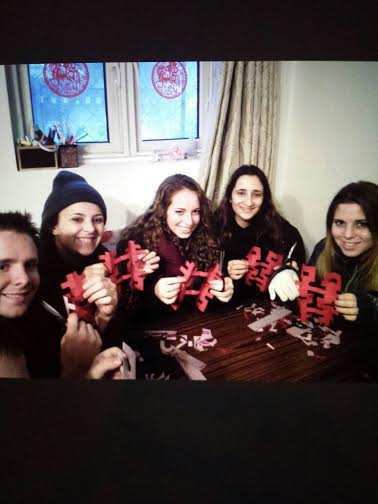 Next we headed over to a local residence to learn the art of paper cutting. Some of us were more talented than others. Then we went over to another home and had some refreshments and learned how to make dumplings. We didn’t get to eat them because apparently if you are not a professional they don’t bother steaming them since they would most likely open and fall apart. oday, we also saw the Drum Tower, which is a tall building with 24 drums at the top. Drummers drum from this tower every hour. The building was built 700 years ago and the purpose of the drums is to let everyone know what the time is. The building also has an exhibition of many ancient and very creative gadgets that are meant to tell the time. For example a boat-shaped incense stand, which is meant to count two hours of sleep during the siestas. You light the incense before you go to sleep, and it burns a string every half an hour. Every string has two bells at its end that fall down and make a noise when the incense gets to it. So every half an hour a bell goes off… You have to be very creative when you don’t have an alarm clock! 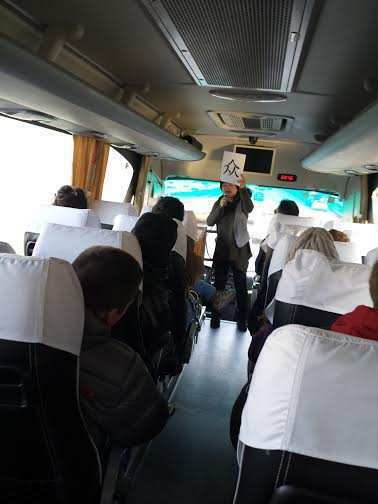 After a hearty and large breakfast we hopped on the bus where we had our second Chinese lesson and learned about the Chinese animal years, importance of the color red which means luck and gold which is the Emporer’s color. We headed to our first stop of the day, the Ming tombs. 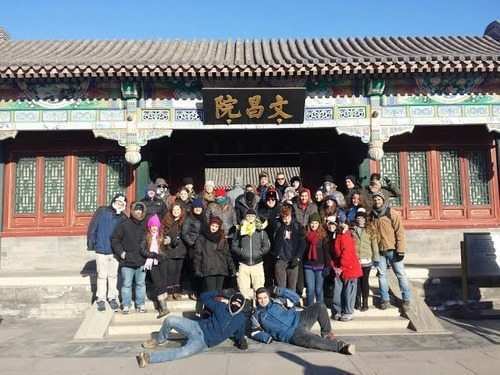 The tombs are actually an area where 13 emperors of the Ming dynasty are buried. The whole region is considered to be very feng shui (fun fact: Liron has has three white Pekinese dogs and two of them are named Feng and Shui. Back then, Pekinese dogs were rare and considered the Emperor’s dogs), and have a very good flow of energy. The tombs themselves are buried deep inside the mountains, but again, the Chinese used to go all out with everything they built when the emperor was involved, and the path to the burial place goes for many miles and is spectacular. When we arrived we went through the “gate of heaven”. Before you go through it, you first need to concentrate on which foot you enter with first, because if you’ll cross with your right foot, you will be a girl in the next life time, but if you cross with your left foot than you are bound to be a boy. When we got to the top we saw the beautiful mountains but also felt the very cold wind hitting our faces. Next we walked down the Sacred Road (the road leading to heaven) which leads to the Ming Tombs, commemorating the Emperor, known as the Son of the Heaven, who came from Heaven to his country through the Sacred Way, also deservedly would return to Heaven through this road. The road is lined with 18 animal statues dated 600 years ago. We continued on to the cloisonne factory. Cloisonne is a very ancient Chinese art of making plates and vases (and some other stuff) of bronze wires. It is a long, long process. Just the art of coloring and painting on the bronze takes 3 years to learn. The guide took us through the whole process of making the instruments. After a buffet lunch at the factory (the restaurant seats 2,000 people) we climbed up the Great Wall!!! This was a perfect work out after our fulfilling meal. The Great Wall was everything we hoped it would be and more! It was truly exciting to see this magnificent man built wonder and climb it. The wall is actually comprised of many separate walls in the different regions of china that were built in different times. 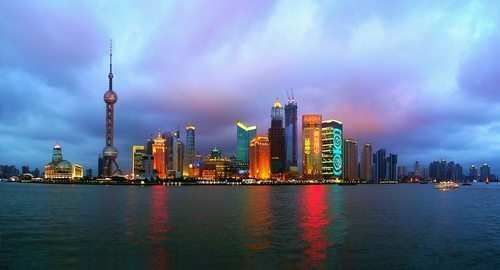 It stretches 8,500 kilometers and the only part of it that is open for tourism is in Beijing. At the beginning of the wall there is a stone with a saying by Mao that says that you are not a true hero until you climbed the Great Wall ( also word got to us that Debbie would be very mad if we chickened out and didn’t climb to the top) so we were bent set on making it to the top…I’m not sure if we will feel the same way tomorrow morning when we can’t move our feet after climbing all those stairs, but as for now, we are pretty content. The wall was much narrower and steeper than what we imagined, and the view from it was stunning. Although only a few of us actually made it to the top (kudos to Matan, Mason, Sam, Finnie, and a few other boys) the rest were soooo close but it was just too exhausting (that would be me and Shaina, Alli, Lauren, Helen, Benji, Yarden, and others). From different viewing points we could see endless miles of the wall across the Chinese countryside. We also need to remember that there are 1 million men buried under the wall who died building it. 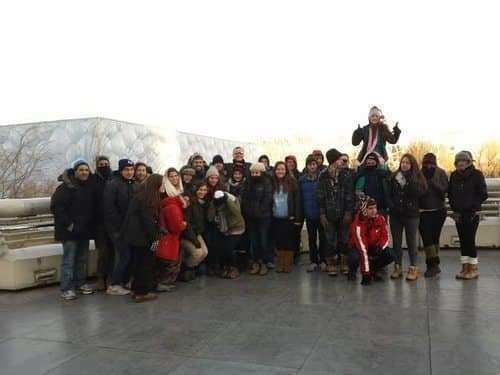 According to our tour guide, it was at a time when the total population of China was about five million in total, so if the numbers are accurate we are talking about 20% of the Chinese population! As we got back on the bus to make our way to dinner, we drove past the Olympic Park, where the 2008 Olympics were held. The park called the nest for its architectural resemblance, is very impressive. It is also a pretty controversial place since the government built it over a residential area. We learned that due to the city’s horrible traffic issue, during the Olympics, every car was allowed to go on the road only one day a week. The day of the week was determined according to the last digit on the car’s license plate. Dinner was a restaurant located inside an indoor market place. Basically it was knockoff heaven. From designer bags, clothes, and shoes to electronics, there were knockoffs of everything. It was out first bargaining experience and some students walked away with really nice clothes and shoes. After dinner we went to a Kungfu show.Wow!! There are no words to describe this crazy phenomenon that is the Shaulin monks. They are almost inhuman! We watched them fly in the air, lift their bodies on top of sharpened spears and move so rapidly and gracefully to the music while practicing the art of kungfu. The monks literally stood a few inches from us during certain parts of the show. It was spectacular and we all really loved it! China is the largest producer of sweet water pearls so after another great breakfast, we drove to a Pearl Factory where we watched in amazement as one of the workers opened a clam with a sharp knife and took out about 20 pearls. After a short explanation about the pearl industry, we walked around to see the jewelry they made. Some of us just couldn’t resist the cheap prices and purchased things. Mothers, you raised some sweet boys because a lot of them bought you presents. 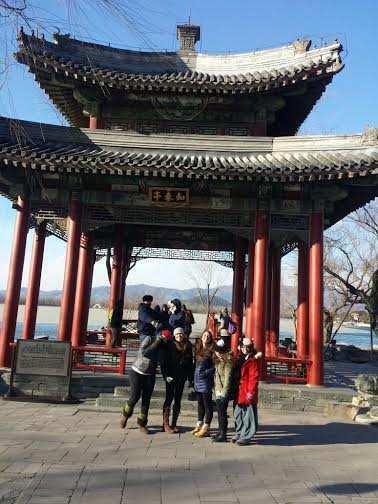 From the factory we headed to the Summer Palace, which is the beautiful royal gardens built for the Emperors’ families to spend their summer months during the Quing Dynasty. Empress Dowager Tzu-hsi, who is referred to as “the dragon lady” used to stay in this palace. The legend says that even though she’d eat 120 courses in a meal, she was a very beautiful woman and worked hard on her appearance. It is also said that in order to stay young she drank breast milk from 20 different women. We found this to be a disturbing fact. We also walked through the longest corridor in the world which stretches 820 yards. After lunch at delicious, authentic local restaurant, we headed to the Temple of Heaven, where the emperors used to offer their sacrifices to ensure good harvest. 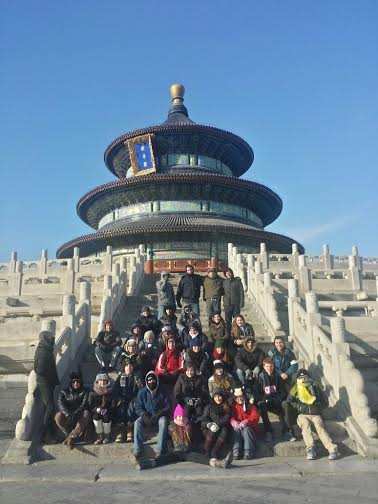 We were surprised to find out that the Temple of Heaven is three times the size of the Forbidden City, which we have yet to visit! It is HUGE! The temple was stunning! It became a UNESCO world heritage site in 1998. From there we went to a Tea House where we sampled different flavors of tea and watched the proper way to prepare it. Following the relaxing and aromatic experience in the Tea House, we walked around the electronics and silk market. They have all kind of fabrics, leather products, electric gadgets and basically every replica product that ever existed. Dinner was a really cool experience. 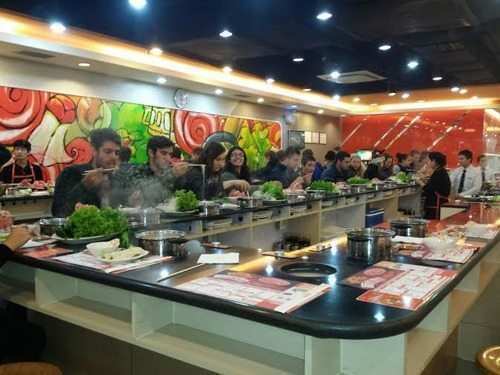 We feasted on Hot Pot cuisine. Hot Pot is sort of like fondue but with hot water. Each of us chose which foods to cook and then we dipped each bite in a variety of sauces of our choosing. 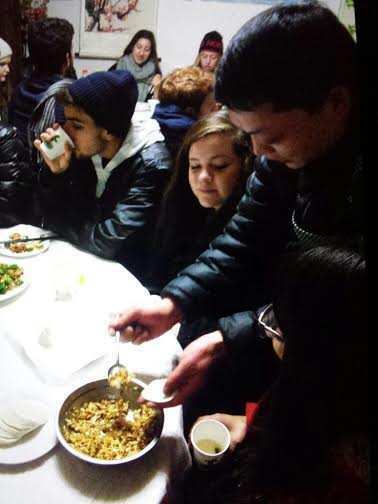 It was really good and the students enjoyed it because it’s authentic, simple, and tasty! We finished out evening with a bang! We went to an acrobatics show which was truly spectacular entertainment! 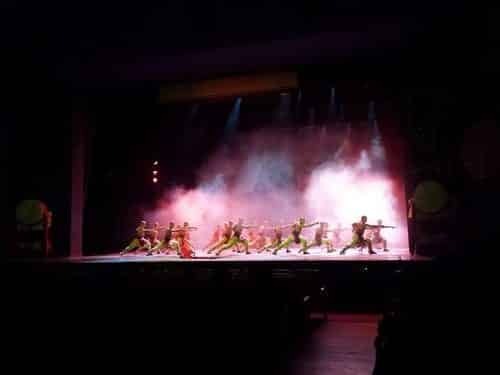 The Chinese are known for their limberness and we were amazed at their talent. People flying in the air, through hoops and to unimaginable heights! We held our breath a couple of times during the show when we were sure a serious injury was about to occur on stage, but somehow it didn’t. Not even when 8 motorcycles were driving together in circles inside a huge (but not big enough) ball shaped iron cage! It was awesome! We left extra early today to fit in everything planned and since despite the distance from our hotel to our first stop not being so far, we confirmed what we’d been told – Beijing rush hour traffic is really unbelievable. 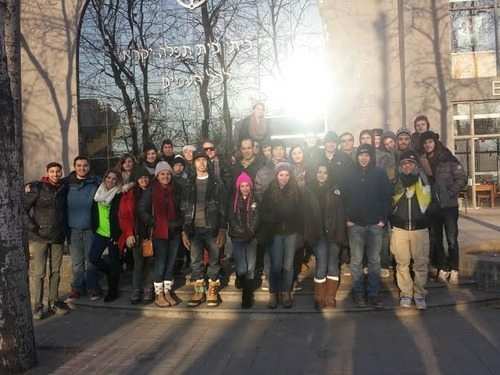 Our first activity of the day was the Beijing Chabad House. It is a pretty remarkable structure which includes a restaurant, kosher food market, and a museum which also serves as a synagogue. 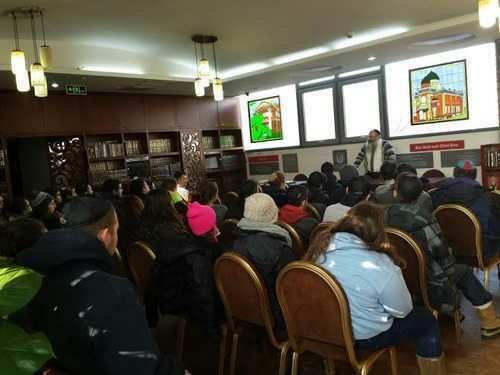 We were greeted by Rabbi Shimon who spoke to us about the small Jewish community in Beijing and the small Jewish school they have with only 40 kids. When we asked him what it is like for him to run a Jewish Chabad house in a communist country he told us it is a rather complicated task. They have to navigate between practicing Judaism and remaining under the radar and not doing anything that would seem to be opposing the regime. For example, Chinese law prohibits him from performing conversions. We enjoyed seeing the artifacts in the museum and admired the stained-glass windows depicting synagogues which once stood in different cities and towns in China. 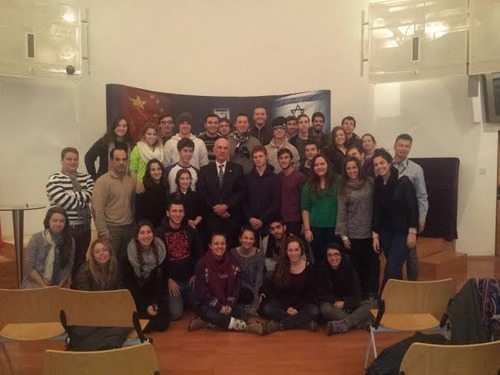 Next, we headed over to the Israeli Embassy where we had a private meeting with Israeli Ambassador to China Matan Vilnai. The ambassador compared the long standing history of people hood for both Jews and the Chinese and explained that this is their main commonality. He also explained that the main driving force behind the relationship between Israel and China today is economic and more specifically, technology. The Chinese government looks to cooperation with Israel so Israel may teach the Chinese about technological advancements which they can adopt to ensure the livelihood of the Chinese people. The students asked really good questions: Omri asked the Ambassador what his day to day looks like, Brooke asked what is the weirdest food he ate since he began his post, and Daniel Gottlieb asked him about Entebbe. In 1976, during this historic mission to rescue the hostages in Uganda, Ambassador Vilnai was then a Colonel in the army and he lead the paratroopers force on the mission. He, along with Shaul Mofaz and Uri Sagi who lead the Sayeret Matkal and Golani forces respectively, reported directly to Yoni Netanyahu. Ambassador Vilnai recounted to us every step of the historic mission and I think this part of our meeting was truly a highlight. Vilnai continued to serve as a prominent and high ranking figure in the Israeli army until he 1998 when he headed to the political arena and served as a member of Knesset and a Minister in the government for many years. I can say with confidence that it was truly an honor to all of us to meet him. We then went to lunch at a really cool vegan restaurant. Who would have thought that a vegan menu could have so much to choose from! It was really tasty! After lunch we continued to the Lama Temple which is a set of Buddhist Temples that showcase different sized Buddhas. The largest wooden Buddha is 26 meters high, and is carved from a single tree! It goes 13 meters deep into the ground and 16 meters above it, it is an amazing structure that took 3 years to import and 3 years to carve. Our next stop was the 798 Artisan Colony. 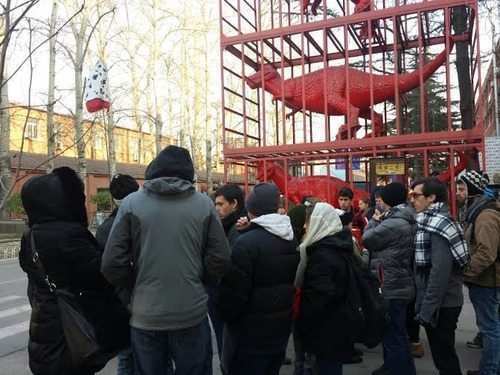 The students had some free time to walk around this famous art space. The space used to be a military factory but now serves as an up and coming artistan community with its unique architectural designs and differing exhibitions. It has a very young and modern feel to it and resembles our very own Florentine neighborhood in Tel Aviv. Next up was the silk market where everyone’s bargaining skills were again put to the test! When we finally reached the hotel after a long day of meetings and touring, we gathered together to light Hanukkah candles as we did the night before. Only this time there were other Israelis in the hotel so we invited them to join us. The Chinese people watched in amazement as we sang out loud. Despite creating a spectacle of ourselves, we all enjoyed the singing and the atmosphere, reminding us that even in a place where we feel and look like complete foreigners, our connection to each other and our tradition is always present. We had one other stop on our journey today – the infamous night market. Talk about feeling like a foreigner… This was when the cultural shock hit hard. 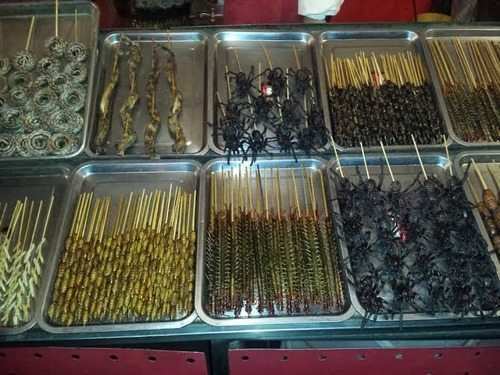 The Beijing night food market was full of all sorts of creepy crawlers fried, baked and barbecued for the public’s enjoyment! 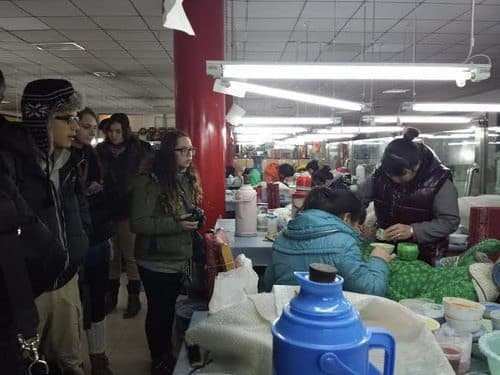 As you can imagine, most students did not partake of the local delicacies but enjoyed the cultural experience of seeing all that was being served. And, there were a few brave participants who helped themselves to some items which would make most of us squirm just thinking about it! I’ve attached a picture just to give you a glimpse because its not something you see every day! 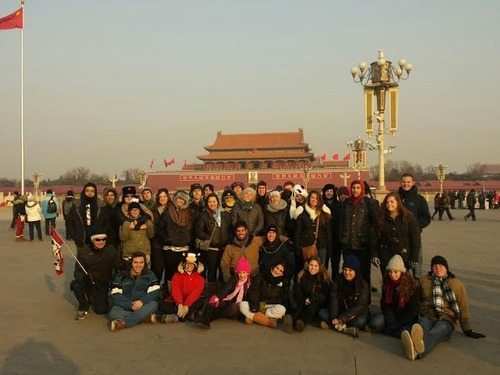 Our day on Thursday started with a tour of Tiananmen Square which is the third largest square in the world! We walked across the square, where in the old days, people used to walk in order to see the emperor while being surrounded by armed soldiers watching their every move. 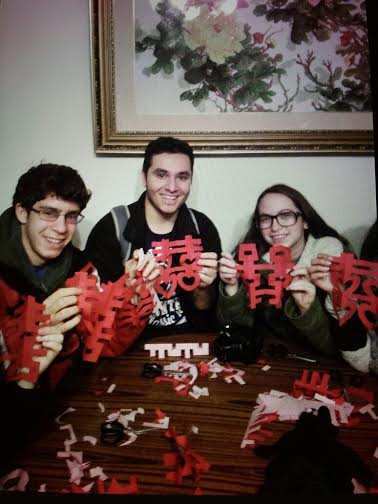 Instead we were surrounded by many Chinese people that wished to take picture with the “Americans” (every non- Asian is considered to be American). Ally was particularly happy to take pics with them! It’s hard to comprehend such an idea but the Chinese find non-Asians so interesting as they rarely come across them. At the end of the square above the entrance to the Forbidden City, stands a gigantic painting of Chairman Mao Zedong looking down at the many visitors. 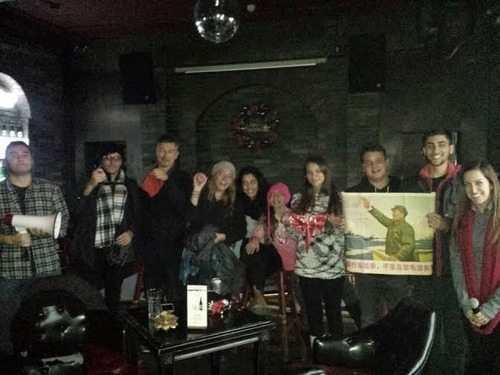 When the older generation in China got engaged, it was customary to give a gift of a picture of Mao to the fiance’s family. The richer the family, the bigger the picture was! Not a very tasteful addition to the family living room in our opinion, but we will leave it at that since our emails are probably being monitored by the Chinese Government. (Just kidding! We all have a Mao picture in our apartments! We love it, it really add to the ambiance of the room). Speaking of the Chinese Government, prior to arriving at Tiananmen Square, we had a history lesson on the bus. We talked about the Tiananmen Square Massacre and the “Tank Man” as well as saw the famous photos of this unnamed man’s heroic actions. We did this on the bus because it is illegal for tourist groups to discuss this in the Square. To this day, the Chinese people are not taught about this aspect of their history and due to the censorship and firewall in China on the internet, the average citizen does not have access to the information or know that these events happened. 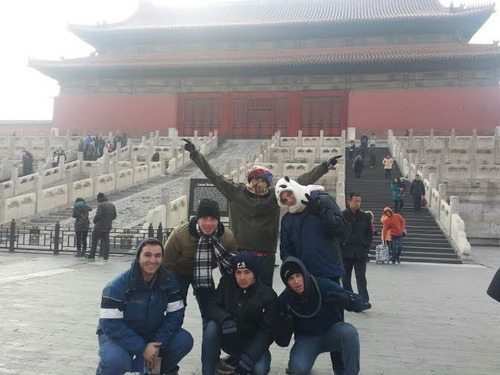 In Tiananmen Square there are both plain-clothes and uniformed officers charged with eavesdropping on the tourist groups and they will stop anyone who does not follow the law. Now, if we thought the Tiananmen Square was big then the Forbidden City, where the emperor and his generals lived we could only describe as humongous! It has 9,999.5 rooms and is truly remarkable. We passed through the many gates of the city for about 2 hours and still didn’t see everything. The architecture is amazing and the buildings are the best preserved wooden structures from its time (600 years ago). It was built during the Ming dynasty. We had a great time walking around, listening to our guide and admiring the view! 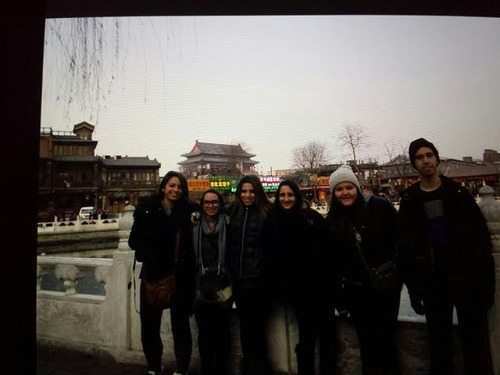 Next we headed back to the Hutong neighborhood where visited on our first day. This time, we had a chance to walk around the quaint area, do some window-shopping (since everyone was shopped out at this point), admire the river, the environment and the people. Finally, we all met together at a restaurant to have drinks and conduct our closing activity which included reflecting on our trip, announce who was chosen as “Aardvark International’s Top Tourist” (in the spirit of reality tv and a tradition Keith started this year and we’ve carried on through all the international trips) and the judges determined who was the winner in purchasing the oddest/unique item in China. 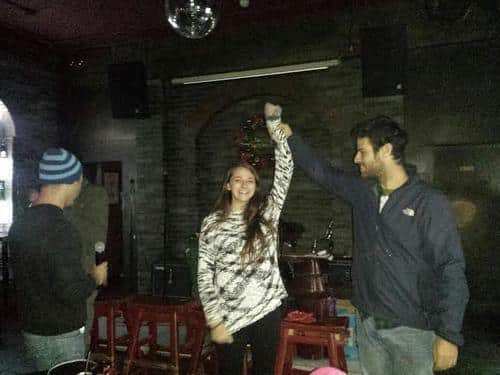 Ally was chosen as the Aardvark Top Tourist for China for her kindness and politeness. 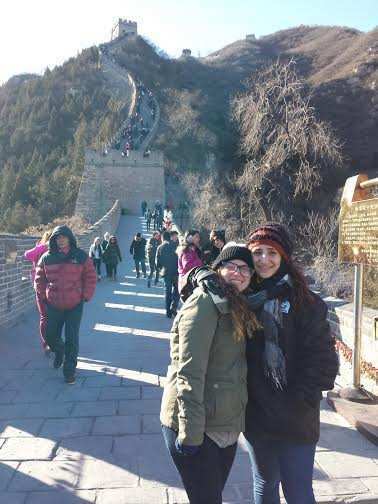 Brooke won the oddest item (you’ll have to ask her what it was 😉 and finally the students shared their favorite highlights of the trip which included climbing the Great Wall (Matan Albert), spending time with and bonding with Jerusalem students (Ally), perfecting our bargaining skills (Omri) , and the Hot Pot meal (Helen). Once you see your kids photos, you’ll see it was a trip which they’ll never forget! And everyone survived without facebook for a week – even me!